PHOTOGRILL: Why did you go to Bobbio? 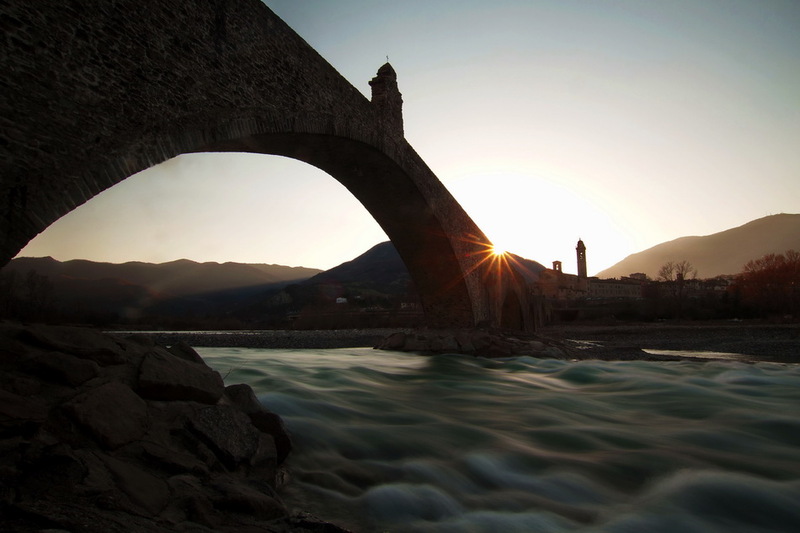 PHOTOGRAPHER: I wanted to photograph Bobbio’s Bridge for a long time, to include this magical location in my portfolio. So one Sunday I got my gear and headed toward Bobbio with my wife Clare for a photographic adventure. I’d never been to Bobbio before that day, the trip took about 3 hours. It was a relaxing journey through Colli Piacentini, an Italian wine region located at the western end of Emilia-Romagna. We arrived around 1 PM, which was not the ideal time to take the picture I had in my mind. So after a brief inspection of the bridge we decided to roam around town and see what Bobbio had to offer. Bobbio is a beautiful medieval town with a lot of photographic opportunities. We enjoyed getting lost in its narrow streets and taking photos here and there. Around 3pm we followed some music coming from the main “piazza” and found a lovely surprise. Bobbio’s carnival parade was taking place. This was a wonderful opportunity to document a typical Italian event, and the people of Bobbio were glad to have us making photos. My wife sent most of her pictures to Bobbio’s town hall so that anybody could have a souvenir of that beautiful afternoon. 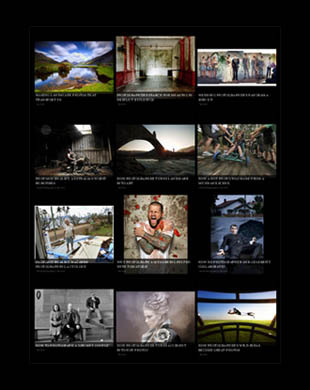 PHOTOGRILL: So tell us about photographing the bridge? PHOTOGRAPHER: It was now 5 pm, we were tired but it was time to head to Bobbio’s Bridge and try to take the shot I had in my mind. We crossed the bridge and went down the stairs to the side of the river where I placed my tripod. I tried to find the right angle and the right aperture to get the silky water effect I wanted to achieve, but it was just not happening. The sun was still too high and the picture would overexpose. I was getting tired, frustrated and cold but I was determined to get my shot. I waited a few more minutes, and added a polariser filter to the ND filter that I was already using, and then started shooting. In just a few minutes I noticed the light was getting better and better. But I had to be fast, the sun was going down rapidly, and when it got to the height of the bridge I decided I could also include it in the photo adding an extra touch to the subject. I set my aperture to f/22 to extend the exposure to 1.6s which gets a nice effect on the river, and creates the “star” effect with the suns rays. After 2 shots I balanced the exposure to -0.33ev and suddenly all my efforts seemed to have paid me back. I knew I had the photo I wanted so I relaxed, but kept shooting for another 20 minutes until dusk came, and my poor frozen wife begged me to go. We still had a 3 hour journey in front of us, and a super-moon to photograph… but that’s another story. f/22, ev -0.33 , shutter speed 1.6s , ISO 100. PHOTOGRILL: Do you use post processing? PHOTOGRAPHER: I do use post-processing techniques but I always try not to overdo it. I prefer to use Photoshop and ACD-See pro to the minimum. I think post-processing plays a fairly important role in producing a good digital image but it is very important to keep your pictures as “pure” as you can. I normally adjust levels and curves when converting my raw files and then crop, sharp and add some saturation or contrast if needed to the jpeg file. I’m not a master in the use of post processing techniques and I would love to dedicate some time very soon to learn more about this. I always keep myself updated, reading blogs on the net but I often find it very time consuming, and prefer to go out shooting instead. PHOTOGRAPHER: Through my photography I try to show people the world the way I see it, which is not necessarily the beauty of it, I guess it depends a lot on the mood I’m in when I’m photographing, and of course the place and the subjects. My favourite subject is definitely nature. I love landscapes and animal photography the most but if I have a camera in my hands anything can be an inspiration. Since I like to experiment a lot, I also shoot street, portrait, architecture and anything that I think can produce a good image of. When I prepare for a photo shoot I normally have an idea in my mind, which is generally a location or a specific subject. I tend to carry most of my equipment with me because I’m well aware that even if I have a defined project in mind there is always something I didn’t think of. Situations change, especially when photographing outdoors and I like to be ready when new ideas come to my mind on the spot. If I have nothing specific in my mind then I just roam, maybe small hikes or city tours and find inspiration on the spot. PHOTOGRILL: Are you amateur or professional? PHOTOGRAPHER: If you define a professional photographer as somebody that makes a living out of photography then I’m not a professional yet (trying hard though). But I certainly do not consider myself an amateur, I take photography very seriously. I carefully choose my equipment and constantly improve my techniques. I study and read blogs, I look for locations and take my camera everywhere I go so that I never miss the opportunity of taking home a good shot. PHOTOGRILL: Why did you become a photographer? 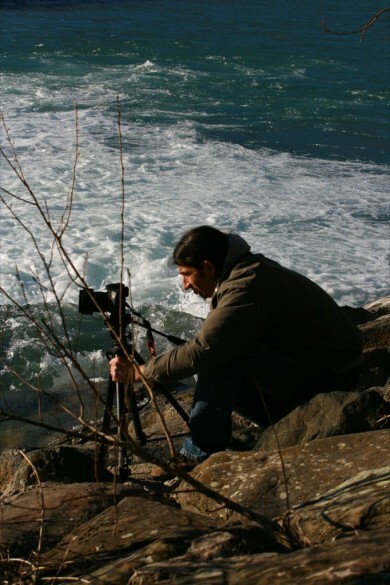 PHOTOGRAPHER: At first I started taking photos to document my adventures, the places I visited and the people I would meet around the world . My father has always been a great inspiration, he travelled a lot and he is a great photographer so I started asking him for advice about techniques and equipment and as soon as I improved I wanted more and more from my photographs and I still do. I am not an artistic person overall, I do not paint, I’m not good at drawing and I guess I found in photography my element, my way to express and share feelings I otherwise wouldn’t know how share. This entry was posted on Sunday, July 3rd, 2011 at 8:29 am. It is filed under The Grill and tagged with Creative Photography, Landscape Photography, Photographic Techniques, Posts Tagged ‘Landmark Photo’. You can follow any responses to this entry through the RSS 2.0 feed.